In Counter Strike – Global Offensive (CS:GO), you get some drops as you play and rank up. Most of the time, these drops are cases which require you to buy a key (~2.4€) to open one case. In case you got a skin as a drop, it is usually not a valuable one. A case in CS:GO has couple of weapons and a mystery item. Most of the weapons contained in a case are worth less than what you would have spent (i.e. < 2.4€). However, 2-4 weapons would have higher value. The mystery item is the most valuable one (worth than 30€) but it is, also, the least probable. Based on this, you would generally lose money by opening CS:GO cases unless you got super lucky. Luckily, there is an alternative for CS:GO case opening. Drakemoon is a case opening website for CS:GO skins. There are two types of cases, official and community-made cases. What I like about Drakemoon is that you can see the percentage of winning an item and what are all the items you can possibly win from a case. In this blog post, I will explain how you can open cases for free on Drakemoon and get cool skins. By signing in to Drakemoon using this link, or using mokha as promo code here, you will instantly receive +0.45$. You can use this money to open your first case for free where you are guaranteed to get a skin! Drakemoon has a cool game called Moon-Wars. In Moon-Wars, you can collect 300 diamonds for free every three hours. Using these diamonds, you can open four types of cases. These cases cost different amount of diamonds and you can receive a skin out of them for FREE! Here is how much each case would cost to open and what skin you can get from each. However, it is very time consuming to visit Drakemoon every three hours to collect diamonds, not to mention you might forget to collect them or be busy. Luckily, I have a solution that automatically collects diamonds for you. As it is really hard to collect the 300 diamonds every three hours, follow the below steps for an easy solution that automates collecting diamonds. You would need to use either Chrome or Firefox as a browser. This is because they have various types of addons and extensions. I would recommend Chrome. 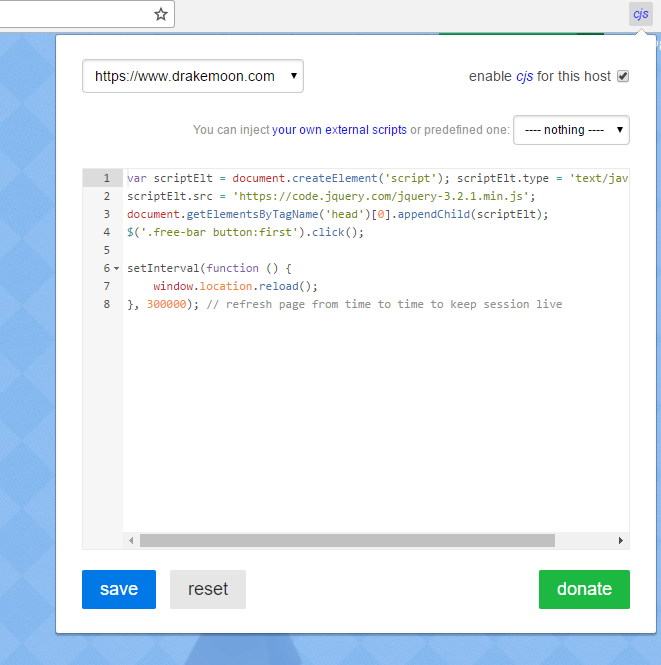 Once you have installed the required tools, go to Drakemoon’s website and login. Click on cjs icon from the extensions bar and paste the below code there. This code doesn’t hack Drakemoon or execute anything on their end. It simply clicks a button for you every now and then. To be able to open multiple cases at a time and open the most expensive case, you need to collect diamonds for couple of days (a week or so). Once you have collected enough, try your luck and start opening chests. Here are some skins I have got from playing Moon Wars. 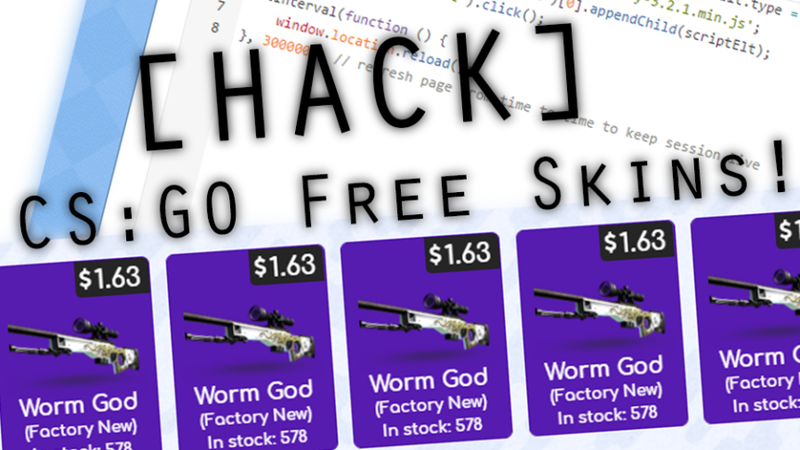 You can sell these skins and get money in-exchange for opening cases in Drakemoon! Additionally, Drakemoon gives skins for Moon-Wars’ top 100 players. If you were lucky enough and were patient to collect most diamonds, you can get free drops by the end of the week if you were ranked in top 100. I was lucky enough to be on this list and win a skin, see below! I hope this post was helpful. Try your luck, and I wish you get some cool skins from this method! Finally, remember that skins = skills = kills! * (This post contains affiliate links. Please read my disclosures for more details).